The long wait is over. 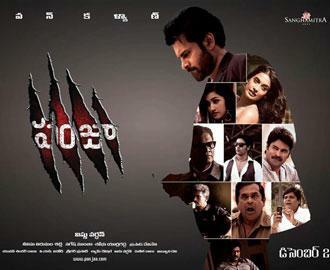 Power Star Pawan Kalyan is back with Panjaa. Pawan's Performance is fantastic and his energy level in the movie reminds us movies like Thammudu and Badri. His dances too in songs Paparayudu and Panjaa title song after a long gap. Introduction of Pawan is Best in recent times. The scenes of Pawan Sarah and anjali reminds us of badri. Ela Ela song picturization is superb on Screen. Interval bang is good. Paparayudu song, pre climax and climax and Title Song at last are excellent. The movie is carrying positive report from all quarters. The film opened to huge crowds and the count in overseas is very high than recent Telugu movies. Above all, this movie has brought the smiles on faces of MegaFans.